Together, these states can be combined into a choreographed performance. 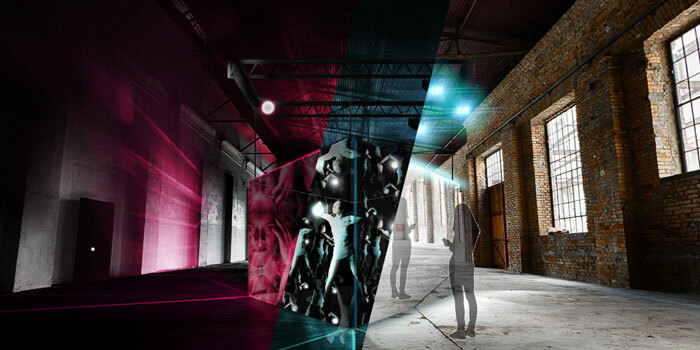 “The Infinity Cube is a multi-media art installation and performance space in which video, dancer, and light are fused together. Due to the special properties of the glass, the video and performer are reflected infinitely to an audience, but the audience itself is excluded from these reflections. "As the space's debut, we are creating Ophelia—a performance and video piece that leverages the visual and metaphorical power of the Infinity Cube to stand alone as a moving experience. "We view the cube not just as an artwork in and of itself, but as a new type of canvas-one that we ultimately want to share."—D.C. & J.P.